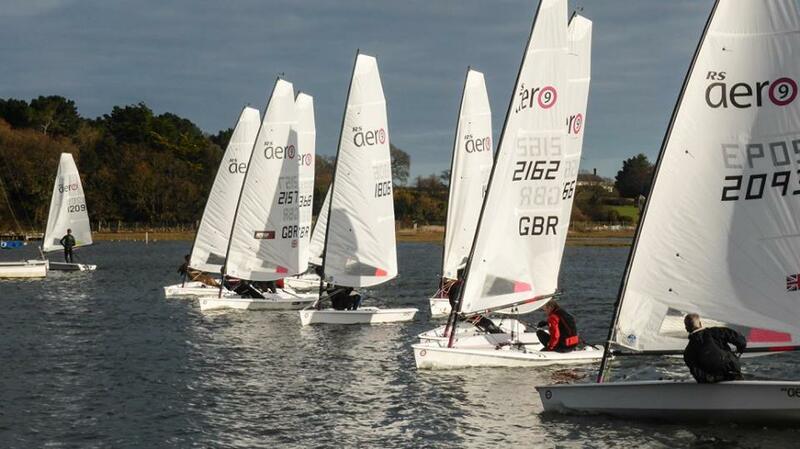 Twenty two RS Aeros pitched up to a frosty morning at Lymington with several visitors joining the large local fleet. An early start on the top of the tide was planned for a busy morning’s Stadium Racing with a series of short n’sharp sprint races on the river adjacent to the clubs and pontoons. 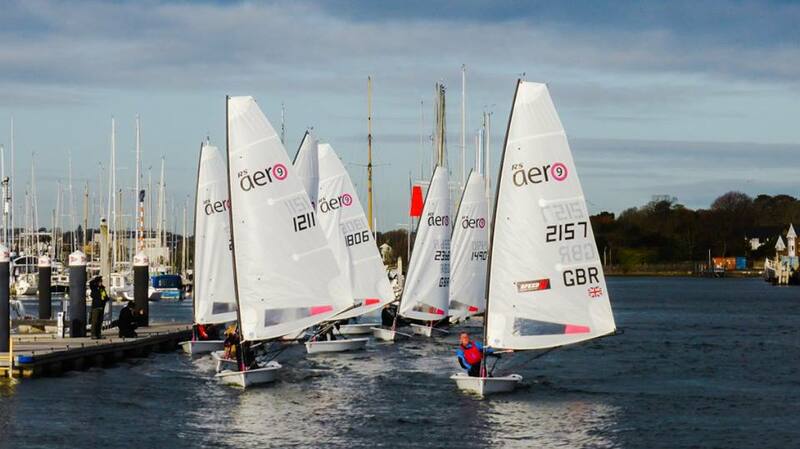 Two equally sized class fleets of RS Aero 9s and RS Aero 7s were perfect for the length of start line and legs. The sole RS Aero 5 raced a pursuit race with the RS Aero 7 fleet - a hare chased by the hounds! A short triangle/sausage course was laid and with the start line end on the pontoon the race officer was able to adjust his line bias very easily between starts. In total 8 races for each of the two fleets were held in less than two hours. Midway through the schedule mulled wine and minced pies were delivered to the pontoons with sailors making pit stop style fly-bys to sweep up a refreshment or return a glass. Those most thirsty after their excursions may have found the sharpness fall from their precision boat handling later on! The first Stadium racing in February 2017 was possibly the coldest day last winter and we relaxed Rule 42 to allow pumping which worked wonders in keeping us all warm, provided some good exercise and made for rewarding dynamics the marginal planning conditions. This year we did the same and Rule 42 was relaxed in half the races. Whilst the breeze was lighter with generally 6-12kn in the context of the short course this proved welcome variety to our normal racing, again creating warmth and a good workout. It was an interesting exercise to see what techniques worked best and by how much. All sailors were returned to the club in good time for Christmas Lunch were the PRO, Keith Willis had been keeping the scores secret providing much anticipation in the no discard series! 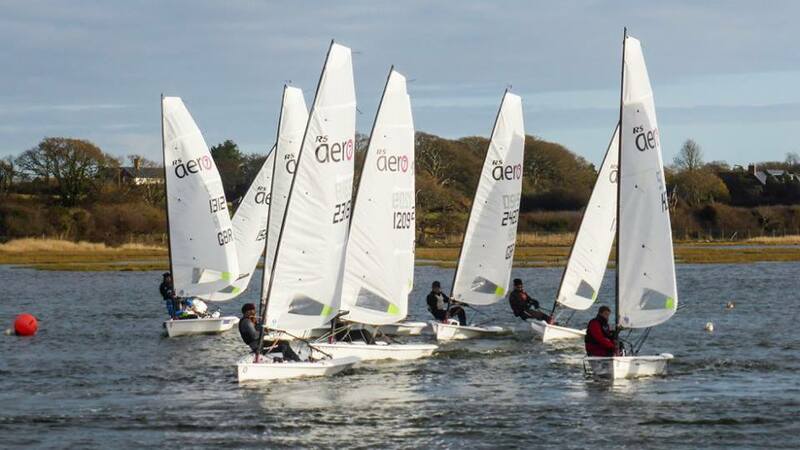 Ultimately Youth prevailed with five under 19s in the top three of the two fleets. Kate Wharmby (Royal Lymington) was top Lady finishing 2nd in the RS Aero 7 fleet on the pursuit basis. Many thanks to sponsors Harken UK and IT Computers for generously providing some prizes and to all the volunteers who assisted a great mornings racing. Though it was not all to end there…A party Chez the Class Chairman followed by a cultural history tour of Lymington’s cobbles and an exclusive invite for sailors to visit the rowing club saw off a fabulous day to (nearly) end the season. 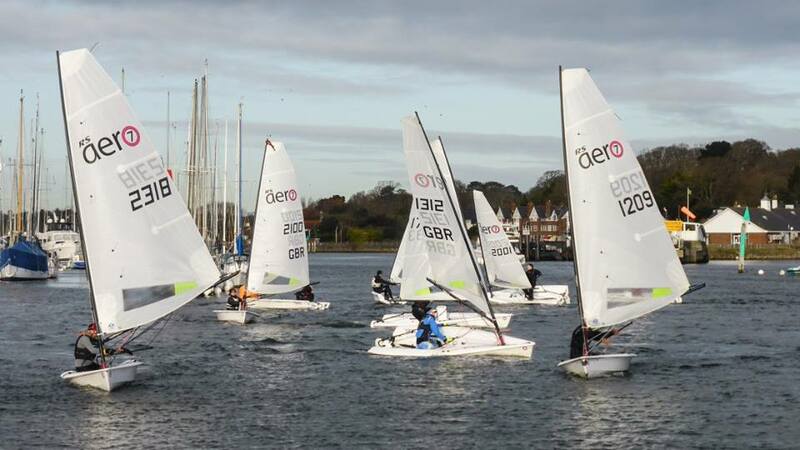 Fortunately racing was cancelled on Sunday due to no wind! The RS Aero Winter Series kicks off after Christmas and runs through to Easter with just 3 events from across the UK required to make a series. Full details of that and the rest of the 2018 RS Aero UK calendar HERE. Photos HERE and on Facebook HERE and HERE.